For some kids, this may be the one toy to rule them all. The simpler a toy’s design, the more children have to use their imagination to play with it. The Bilibo has no instructions, no batteries, no sounds or lights. Children get to decide what to do with the unique shell shape, which as it turns out, is a lot. Getting great reviews, this toy has been a big hit with kids and their adults since its release in 2001. We found no reason to question the toy’s durability or even entertainment value. However, as with all toys, there are some kids who just don’t really care for it. 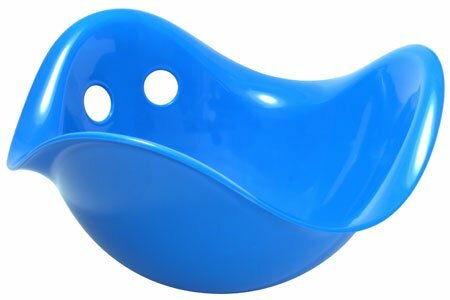 Made of a thick, recyclable, very durable plastic, the shell shaped Bilibo can be used in a variety of ways. Two holes on one side can be used as finger holds, or as an opening to string through rope. Sit in it, wobble in it, spin in it, stand on it, jump over it, hide under it, push it, pull it, toss in some water or fill it with sand. 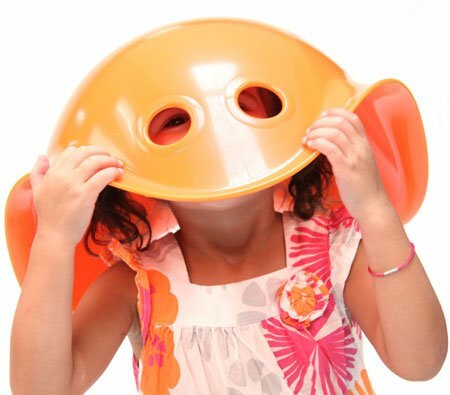 There is no set purpose for the Bilibo, so children can use it however they see fit. Designed without any specific intended method of play, users report being impressed with the new ways children invent to interact with this toy. 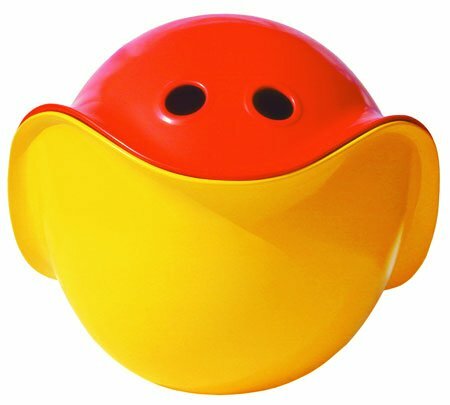 Quite satisfied with this toy, users frequently report very positive feedback, often saying they have, or intend to, purchase another Bilibo either for their own home or as a gift for another. Based on feedback, there seems to be no single 'most popular' way for children to use the toy, though there are several favorites. 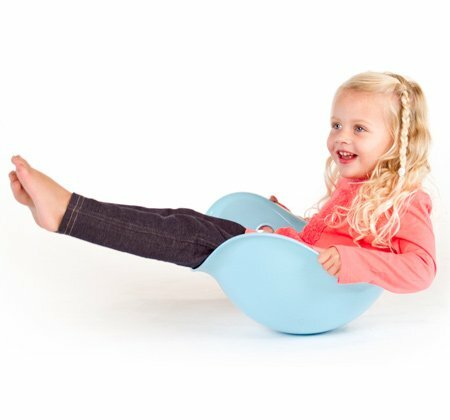 Sitting in the toy requires the child to pay attention to balancing, and many children enjoy doing this while watching TV. Some children spin around while seated, and this is a great indoor alternative for children who desire this kind of stimulation. Some children found this toy makes a great bowl for chips, snacks, and cereal. Trying to crawl under the toy also seems enjoyable. 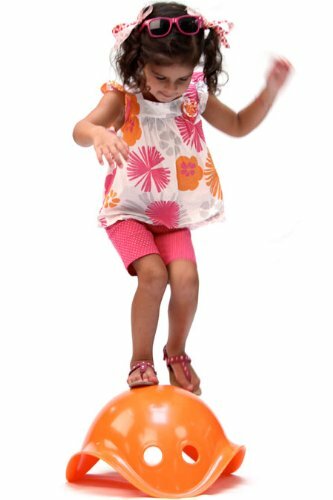 Balancing in the toy can help develop greater body awareness, as well as increase muscle tone and improve coordination skills. Climbing on the toy, or setting up several in a row and walking across them like river stones is another common use. The toy is durable enough to hold the weight of a medium sized adult (around 150lbs) without trouble. The toy can also be used as a mold in sand pits, or to carry water. It floats, so it makes a great boat. 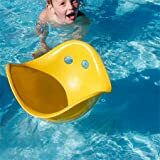 Of course, when water is not available, the smooth plastic material allows the toy to slide across wooden floors. Most users reported no damage to wooden floors. We advise wiping down the toy with a damp cloth before playing on wooden floors, just to ensure there is no sand or grit on the toy that could act as an abrasive material. A few users with very old (100 years or more) wooden floors said the toy scuffed the wood. We trust users to know what their floors can handle. Users that obtained a Bilibo several years ago report the toy still looking almost brand new. They have not cracked, dented, warped, or lost color. The main, and only, complaint with this toy is that some children simply show no interest. Some children thought it made an adequate place to keep other toys, such as dolls, but found no overall fun in directly interacting with the toy. This does not mean those children are less creative, or less imaginative. As with all toys, some pique a child's interest while others do not. Toys stack together, making storage easy. We have no concerns regarding the safety or durability of the toy. As mentioned above in Observations, some children simply do not find this toy particularly interesting.